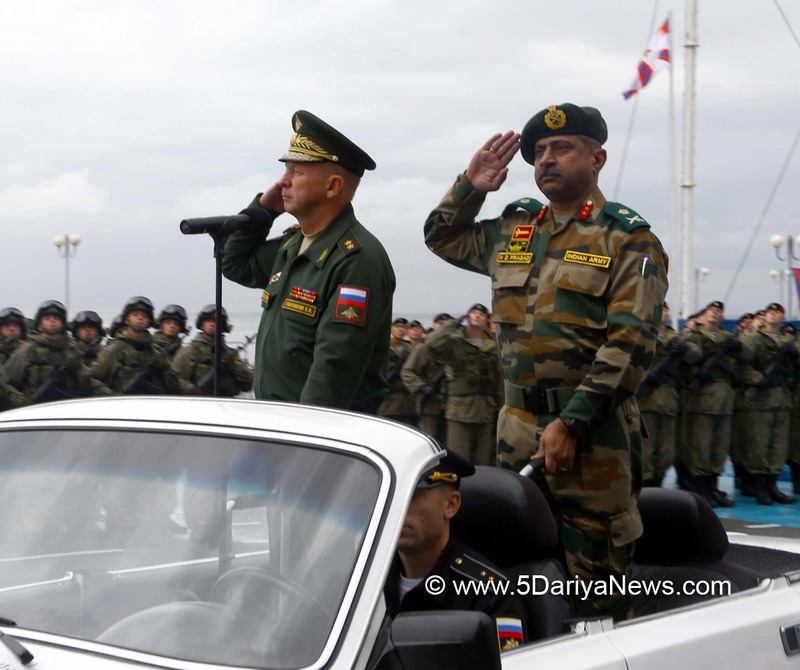 The first India-Russia tri-services "Exercise INDRA 2017" started here on Friday with a glittering opening ceremony, with display of traditional martial arts and folk dances by the Indian troops and a flypast by four fighter aircraft of Russian Federation Air Force.Indian Task Force Commander Maj. Gen. N.D. Prasad and Chief of Staff, Eastern Military District of the Russian Federation, Lt Gen Solomatin, declared the Exercise INDRA 2017 open.The opening ceremony witnessed Maj. Gen. Prasad and Lt. Gen. Solomatin inspecting the smartly turned out contingents, which was followed by a march past by the tri-service contingents of both sides, an official statement said.In his opening address, Maj. Gen. Prasad said the initiative undertaken for the first-ever tri-service exercise between both countries reflected the vibrancy of the continued Indo-Russian strategic partnership.He also said that with the rich operational experience of both Russian and Indian armies in counter-insurgency operations, both sides would gain immensely from each other and further develop their capabilities. Lt. Gen. Solomatin stated the tri-service exercise would further strengthen the relationship between the two defence forces and lead to enhanced mutual cooperation between the two great countries.Lt. Gen. J.S. Negi, leader of the tri-services Observer delegation, during his media interaction said the conduct of the first-ever tri-service exercise between the two countries was a significant step in mutual cooperation and marked an important milestone in the 70th anniversary of diplomatic relations between the two nations.He also expressed confidence that the joint training over the next ten days would result in gaining from the experience and best practices of each other and further enhance mutual confidence.The opening ceremony was followed by a ceremonial banquet hosted by the Russian side, where both sides interacted in an informal atmosphere and expressed their common intent and strong resolve to conduct the exercise in a professional manner, so as to achieve the overall objectives of the Exercise INDRA 2017.